Another new video just went live on Youtube and this is a good one. I am covering the subject of laying the draw plus insurance. Definitely make yourself a nice warm drink before sitting down to watch this! Is Lay The Draw and Backing 1-1 Correct Score a good insurance strategy to trade football with on Betfair? In this video I am going to take a deep look at a method that many have spoken about for years and I am going to see if there is any sort of mathematical edge in it. You have seen the video, now you can see how to do the method yourself and calculate if there is an EDGE to be had. Submit your email address and I will send it right to you! 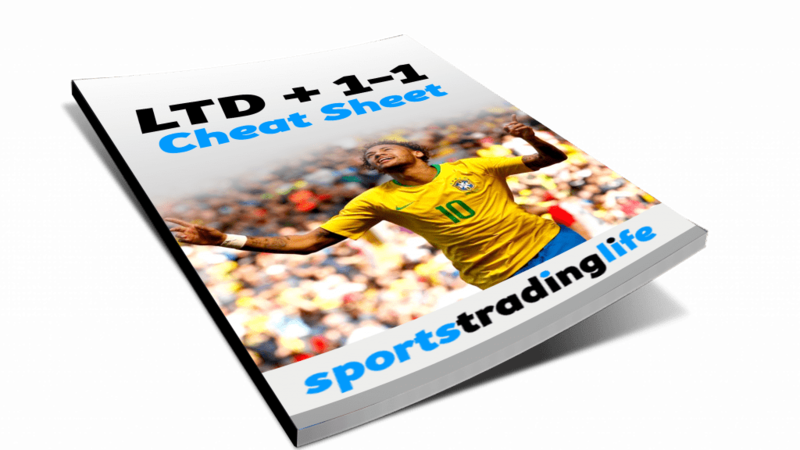 For over a decade now, football traders all over have looked at ways to improve the original lay the draw strategy. For many, the problem being that the dreaded scenario of a 0-0 coming up can cause them to take a loss. But in this video I show you that the 1-1 scoreline is actually more frequent than 0-0 and perhaps that is the scoreline we should be worrying about. And many have wondered if backing the 1-1 scoreline in the Correct Score market could offer some insurance against that possibility and make it easier to profit. However, the way that the majority have been approaching using 1-1 insurance is all wrong. I will show you the best way to approach this way of trading and a lot more. 2 – A real life demonstration of this on a match between Blackburn and Newcastle that highlighted the BIG flaws of this approach. 6 – I answer the question of “Is there an EDGE?”. 7 – I then show you how to calculate the potential edge on future opportunities so you can spot these for yourself.